In a world full of cookie-cutter crossover utility vehicles (CUVs), sometimes it pays to be a little different. 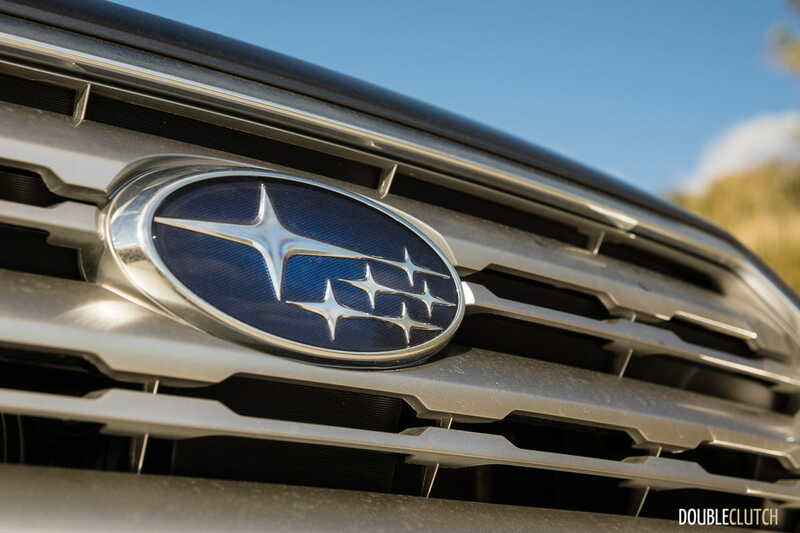 There are only a handful of manufacturers who still design and build honest-to-goodness wagons – Subaru is one of them. You don’t need to get us started on the state of the station wagon in North America – that’s another article for another day. 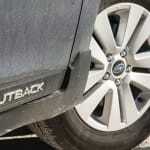 We have now had a chance to sample several variations of the current-generation Subaru Outback, now updated for the 2017 model year. 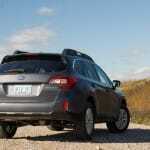 Subaru themselves boast the Outback as being a “midsize SUV alternative”. 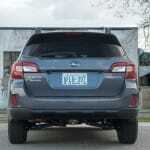 It’s interesting how both it and the Forester CUV are marketed alongside one another – for the month of November 2016, sales for both models in Canada were strong, at 1,362 and 1,145, respectively. 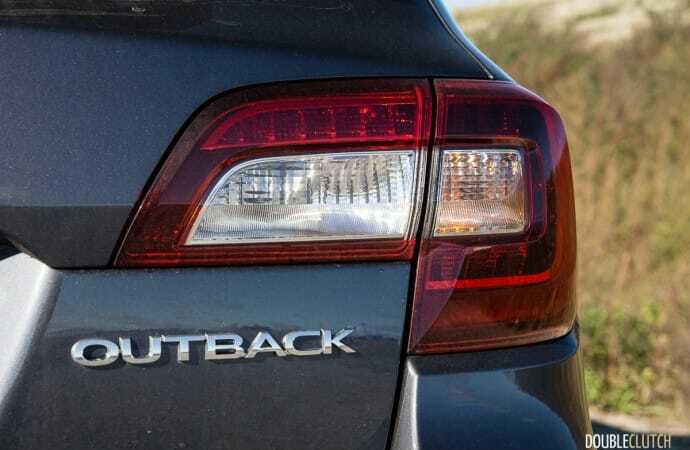 Now not as unsightly as it was in the past, the Outback is a cleanly designed wagon that deliberately does little to hide its station-wagon DNA. 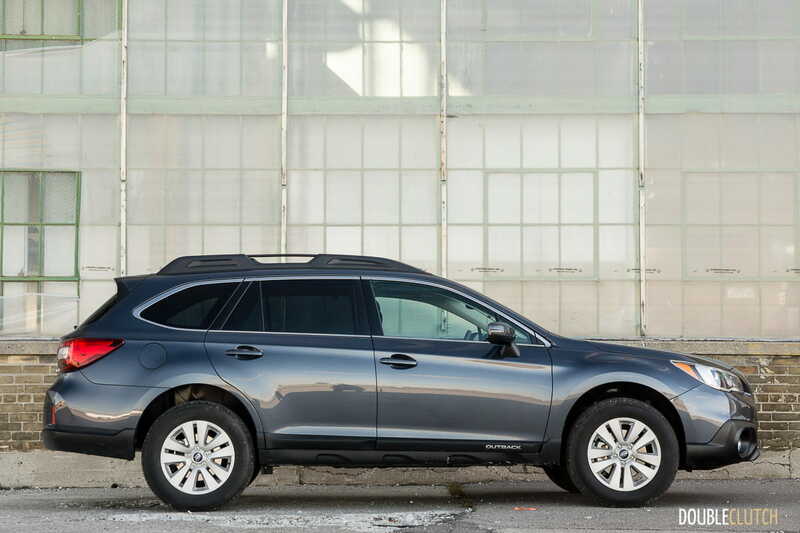 Its long roof and mildly-raked rear hatch allow for generous interior and cargo space, and the hallmark of the Outback – increased ride height, gives drivers that added comfort in the capability (or just increased ride height). 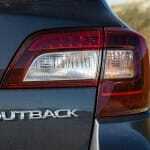 Most of the Outbacks we’ve driven here come with an automatic continuously variable transmission (CVT). What makes this particular car unique is the presence of a clutch pedal and a stick shift. 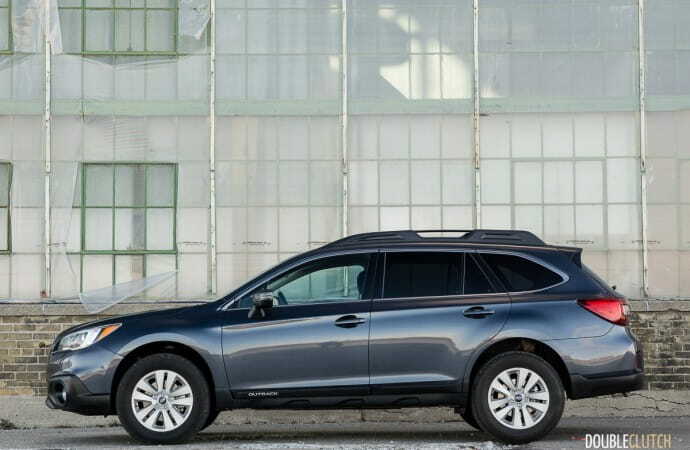 That’s right – this 2017 Subaru Outback 2.5i Manual is equipped with just that, a six-speed manual transmission. In a nod to the differing target markets and audiences both north and south of the border, the manual transmission option is not available in the United States. 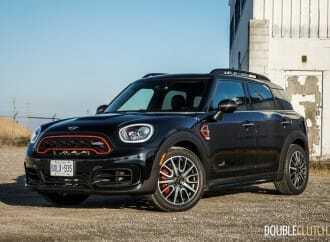 While it is a Canadian exclusive, is it the nod to enthusiasts that people are expecting it to be? 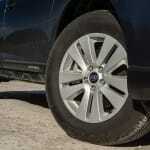 It’s an all-wheel drive station wagon with a manual transmission: what could possibly go wrong? 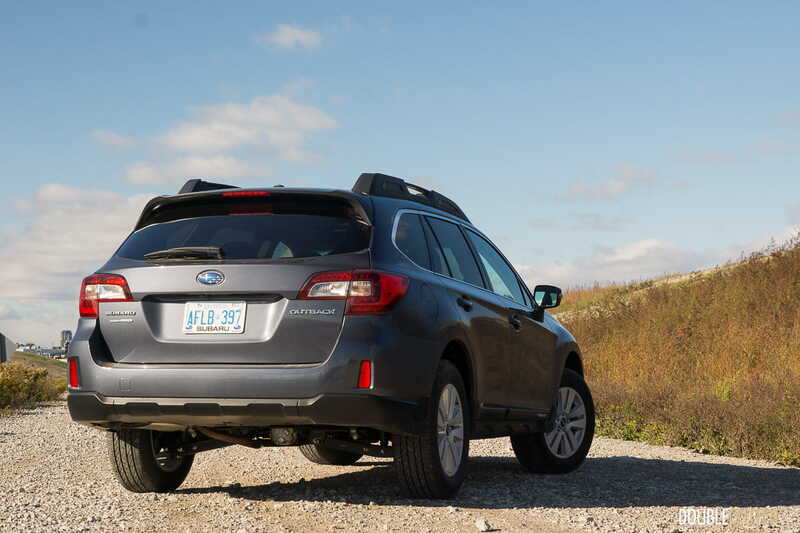 I picked up the keys to the updated 2017 Subaru Outback Touring for a week-long evaluation. 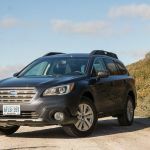 The current-generation Subaru Outback was released for the 2015 model year, and the 2017 updates, though minor, do a reasonable job keeping things fresh in a crossover-dominated market. There’s a new trim level – the Premier – that adds improved interior and exterior finishes, and unique colour palettes inside and out. The Touring model as seen here receives an updated STARLINK infotainment interface. 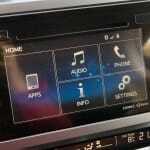 Now measuring a larger 7-inches, the touchscreen is now of the more responsive capacitive variety. 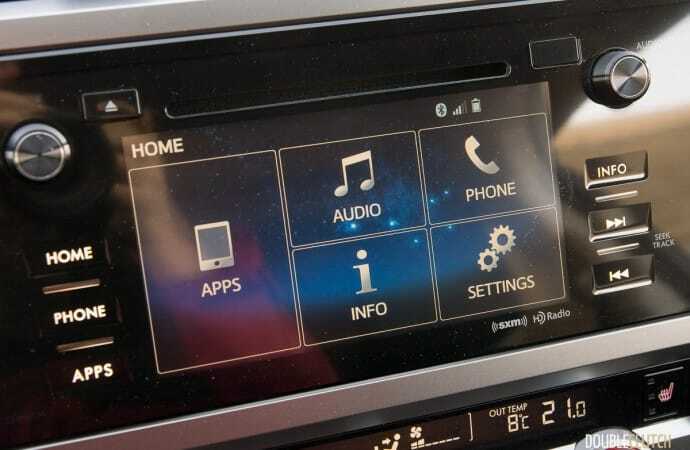 Subaru claims improved integration with smartphones, but modern essentials like Android Auto and Apple CarPlay remain absent. 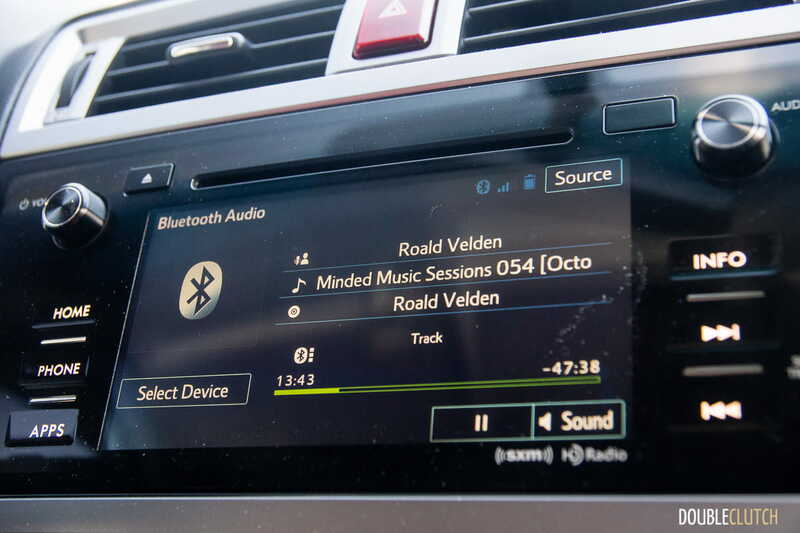 This updated infotainment interface remains a weak point in the Subaru stable, with relatively dated graphics and overall response. 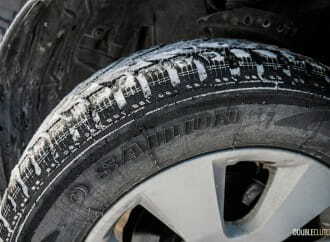 It gets the job done, which is about all one can say about Subaru’s STARLINK system. 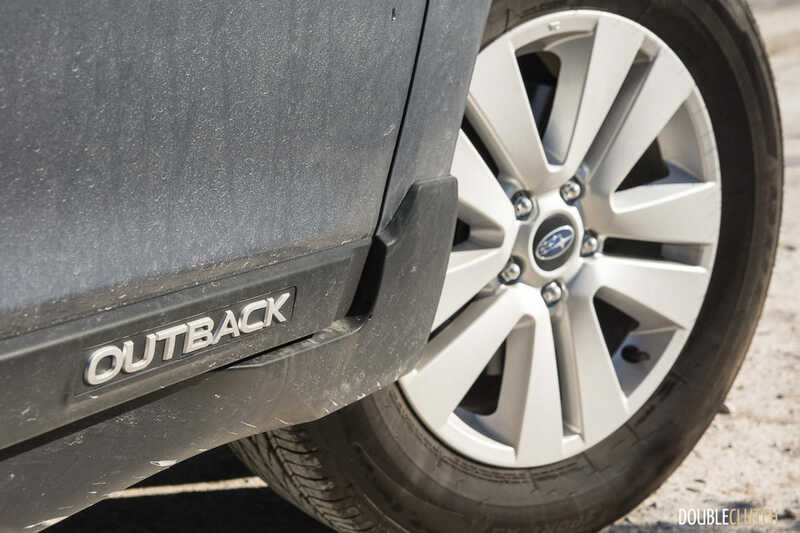 The Subaru Outback still features a function-forward interior, with excellent outward visibility in nearly every direction. Materials quality is decent, with a good amount of soft-touch surfaces located where your hands and elbows typically land. While some may still not be impressed with the utilitarian interior, it’s still quite an improvement over Subarus from not even ten years ago. 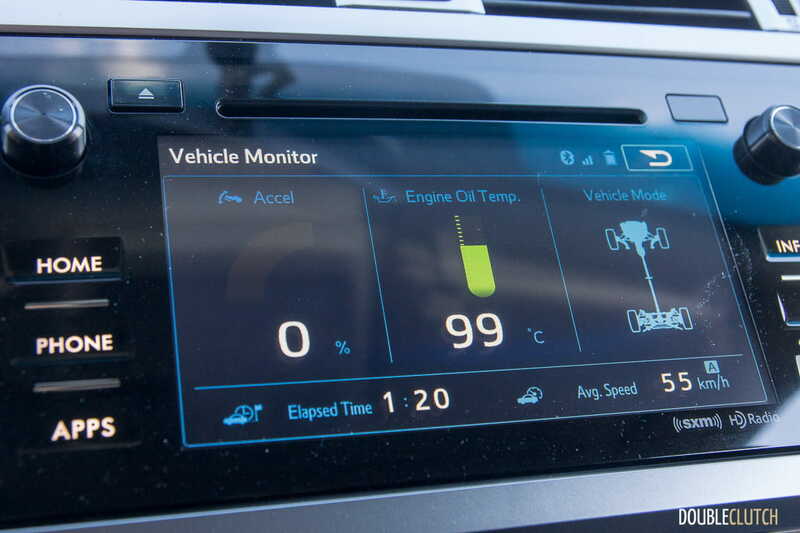 The Touring model tested here gets heated cloth seats, two additional speakers (for a total of six), dual-zone climate control, and a power sunroof. Stepping up into the numerous trim levels will get you leather seating, satellite navigation, push-button start, power adjustable seats, heated steering wheel, and the list goes on. 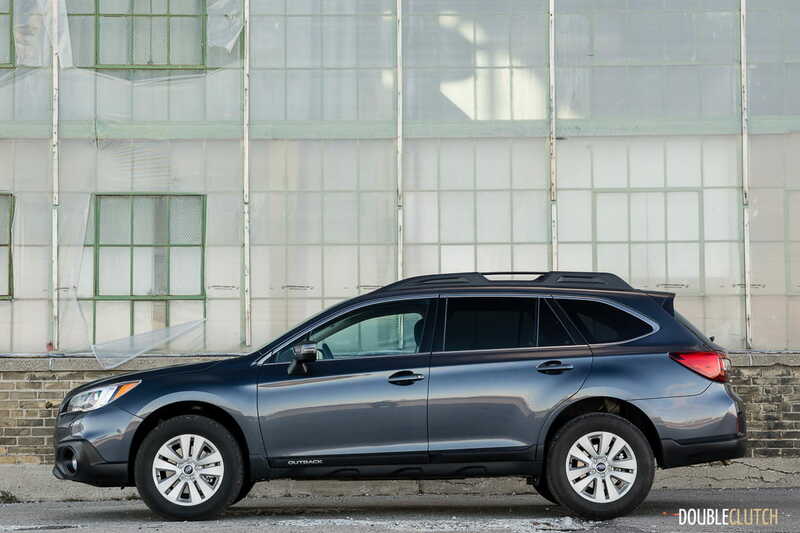 The only catch is that if you’re looking to equip your Outback with a manual transmission, you’ll have to omit many of the more premium features just mentioned. This is because the stick-shift can only be had with the base-model Outback (complete with plastic wheel covers), and the Touring model. 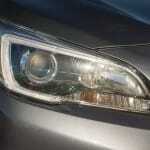 EyeSight, Subaru’s active safety system, is not available on manual transmission models. Interior space is one area where the Outback shines. 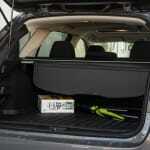 Because it is a proper long-roof wagon, cargo space behind the second row is especially generous. Paired up with the removable rubber mat, there’s enough space for your family’s four-legged friends, or all the cargo that comes with a weekend out of the city. 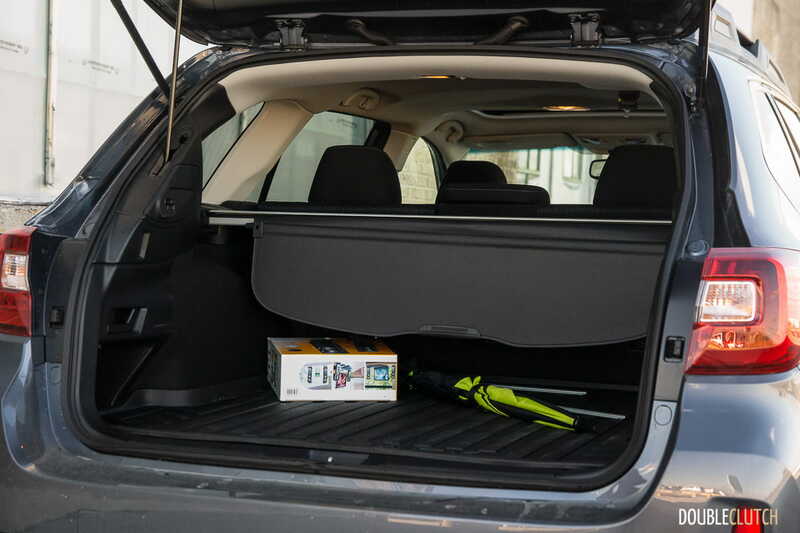 If you fold the 60/40-split rear seats down, you’re able to carry over 2000L of stuff – easily comparable to the typical crossovers that everybody is buying nowadays. 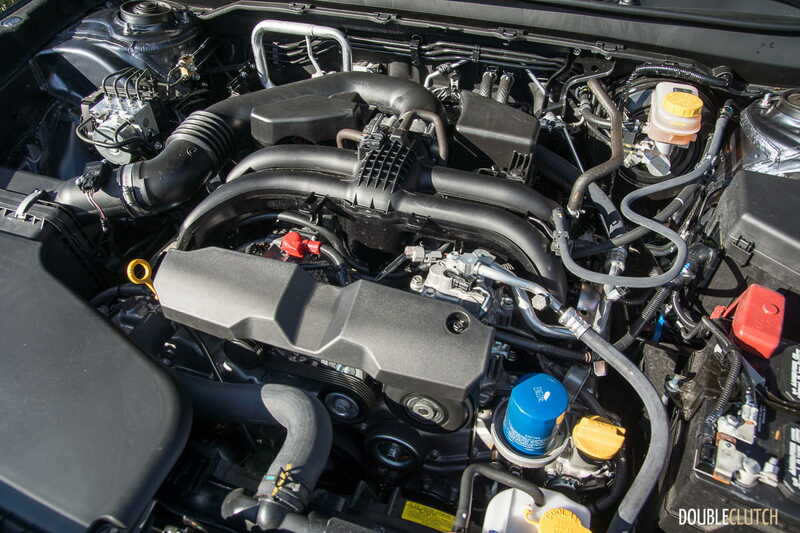 Part of the Subaru allure is the engineering that goes into the powertrain. 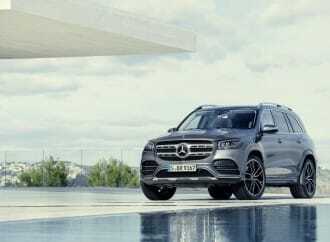 All-wheel drive is always standard, and you have the choice between two naturally-aspirated and horizontally-opposed engines: a 2.5L four-cylinder and a 3.6L six-cylinder. 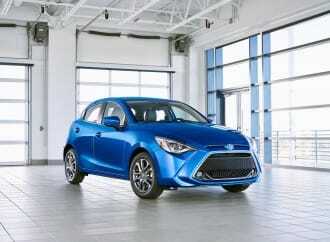 The 2.5i Touring puts down 175 horsepower at 5800RPM and 174lb-ft of torque at 4000RPM. 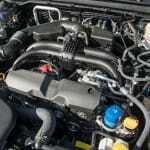 The larger (and optional) 3.6L engine produces 256hp and 247lb-ft, by comparison. 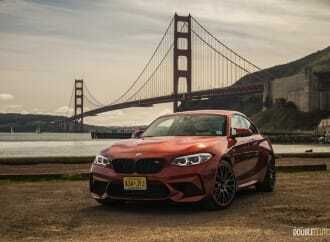 Neither of them feature direct injection or forced induction – they make their power in a fairly traditional way. 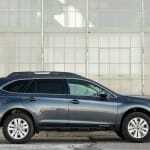 Where the manual transmission Outback differs from the rest is how its power is sent to the ground. 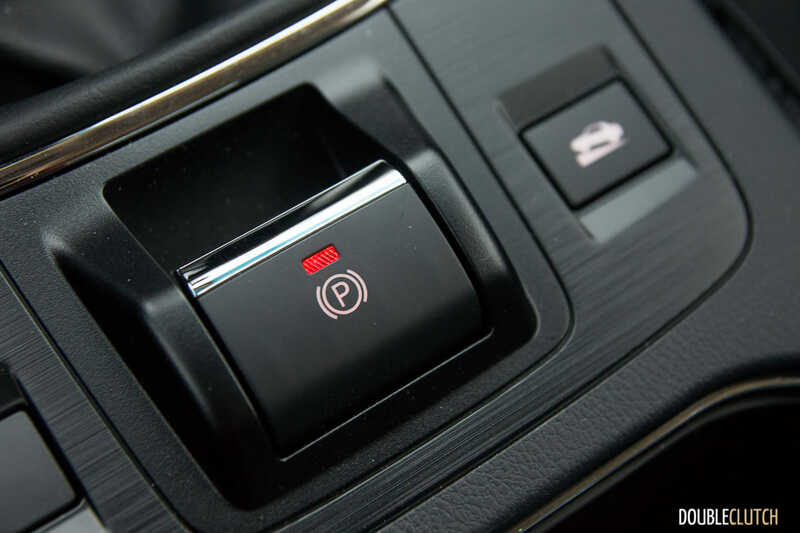 The vast majority of 2.5i and all of the 3.6R models will be equipped with a CVT automatic, which uses an electronically-controlled clutch to send power to all four wheels, at all times. 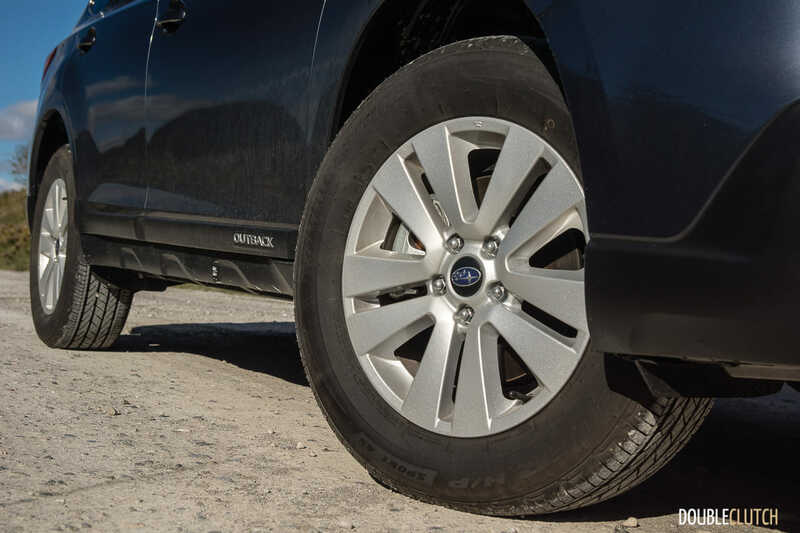 Power is sent mostly to the front wheels until slippage is detected, but this is more than just a reactive slip-and-grip system seen elsewhere in the industry. Manual transmission models use a purely-mechanical viscous coupling centre differential that sees about 50% of power sent to the front wheels, and 50% to the rear. Essentially, if wheel speeds at both ends of the Outback don’t match, the centre differential automatically moves torque around until things are in harmony again. 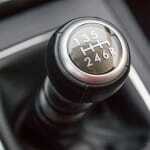 The manual transmission, when available, is usually the go-to choice for driving enthusiasts. I typically prefer being able to control gearing, engine braking, and to simply give my left leg something to do – city traffic be damned. 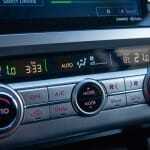 Subaru has shown they know how to build a good manual transmission interface, with the STi and BRZ (reviewed here). However, in their more pedestrian street cars, like the Outback, working the manual transmission became an exercise in frustration. 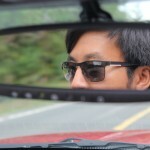 The problem has to do with the debilitating rev-hang that occurs once you get off the throttle and prepare for an upshift. 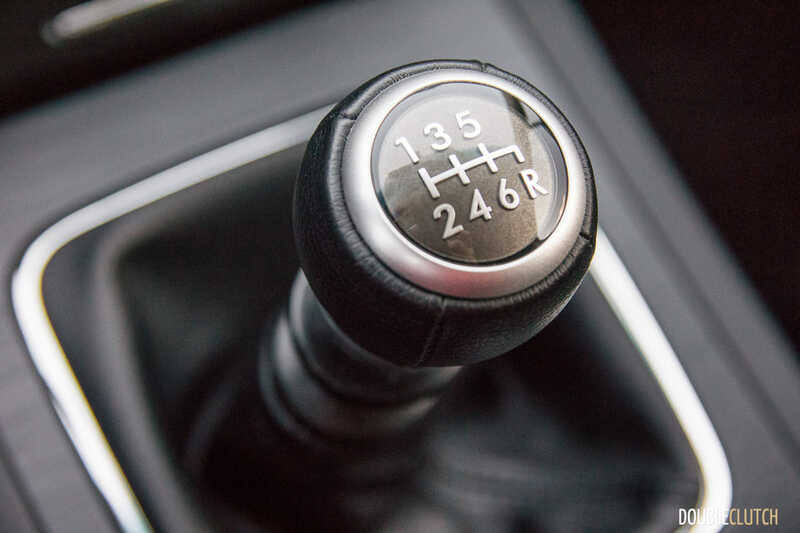 The engine is far too slow to drop revs, forcing you to either slip the clutch (which can increase wear-and-tear), or wait for revs to naturally drop, which is not only annoying, but annoys motorists behind you. 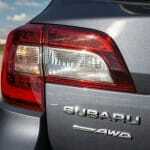 It seems that Subaru has spent more time developing the CVT automatic in these cars, and it shows. I would opt for the CVT in this case. 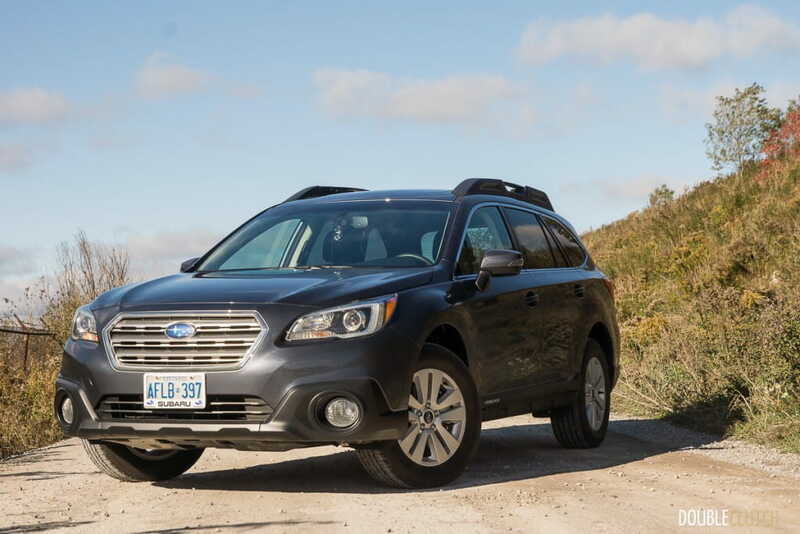 Subaru Canada rates the Outback 2.5i with the manual transmission at 11.0/100km in the city, and 8.3L/100km on the highway. 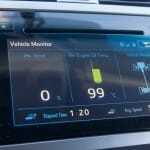 Throughout my week of mixed city and highway driving, I ended up with an indicated average of 9.6L/100km. This isn’t a bad figure considering the always-on AWD powertrain, but the CVT shines once more with a 15% improvement for city efficiency. 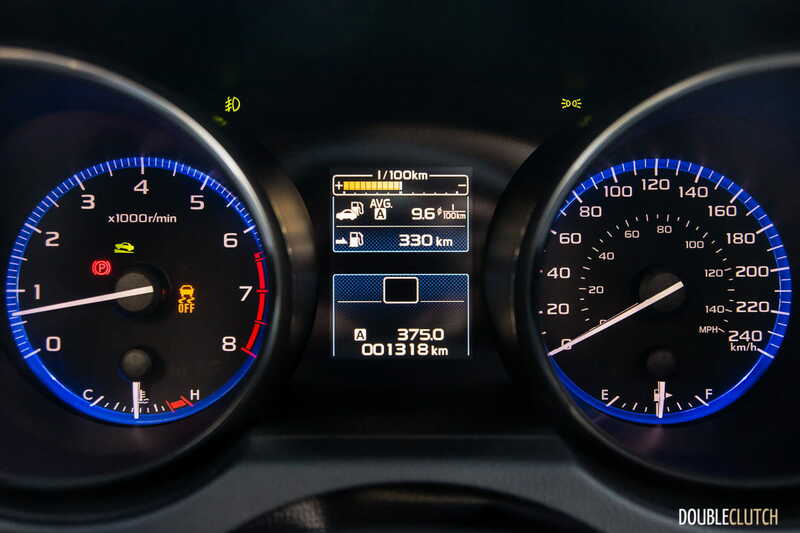 For what it’s worth, the six-cylinder 3.6R with its CVT automatic isn’t too far off from the manual transmission 2.5i, in terms of rated city and highway figures. The Outback can hold 70L of regular 87-octane fuel, which lends itself to decent range. 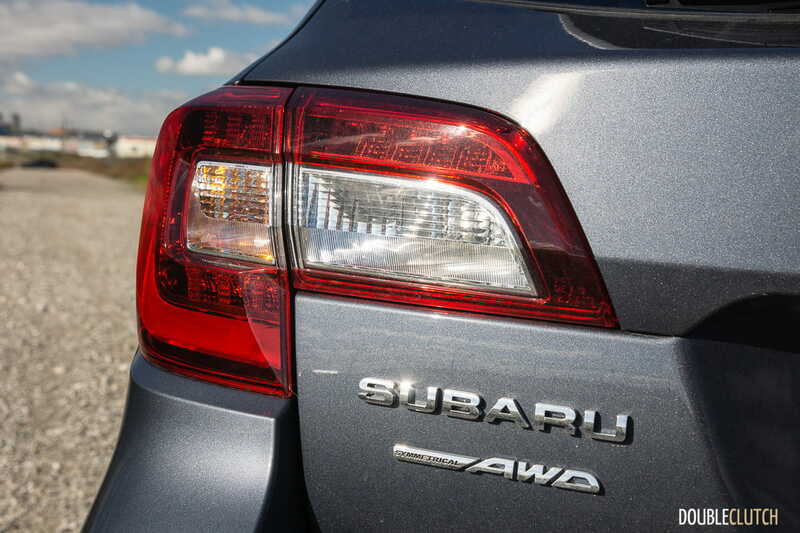 Subaru doesn’t permit customers to add individual options. 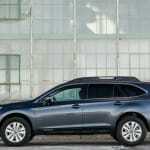 Instead, numerous trim levels means there’s likely going to be something that fits your needs. 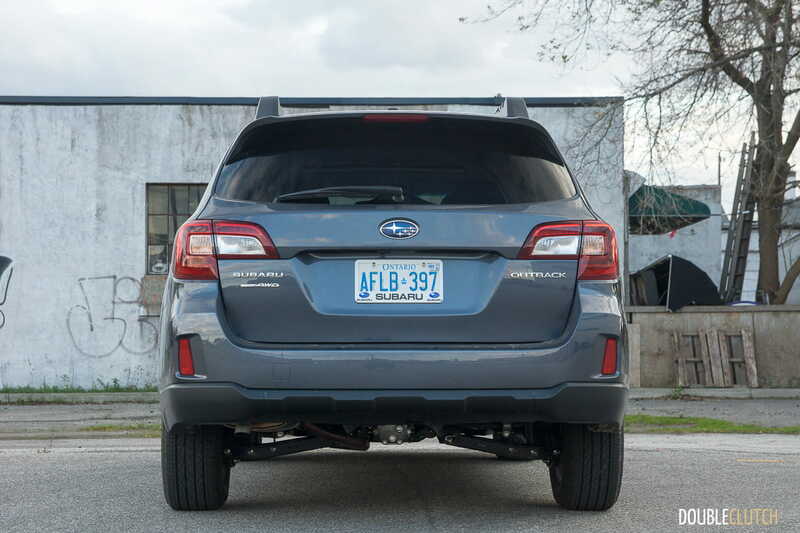 Starting at $27,995, the base 2.5i still gets you a reverse camera, Bluetooth connectivity, heated seats, and the all-important retractable cargo cover. 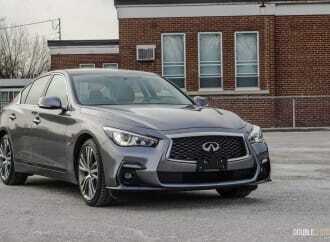 The 2.5i Touring is priced at $31,295 as-tested for the six-speed manual variant. 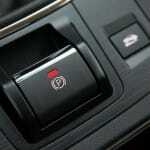 If you’re looking to add the CVT automatic, tack on an additional $1,300. 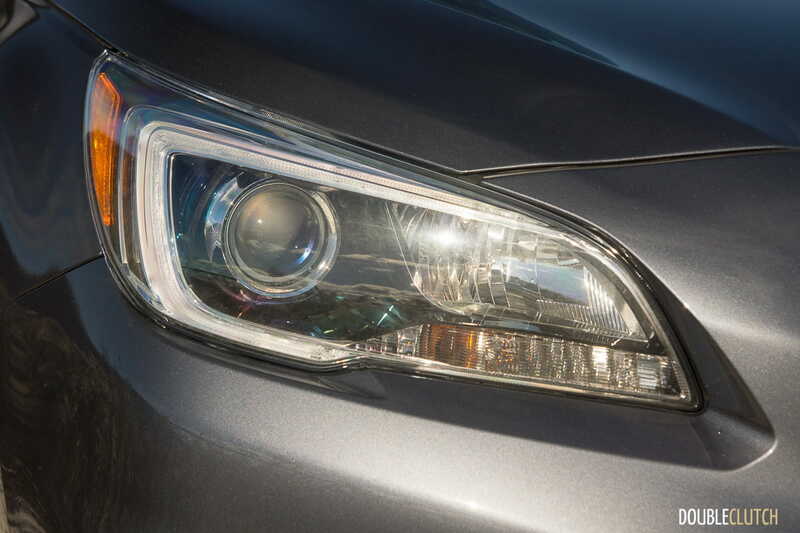 Subaru’s excellent EyeSight system isn’t available until you step into the 2.5i Touring with Technology Package, which starts at $34,095 and already includes the CVT. 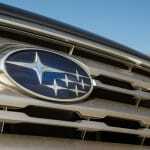 Subaru has traditionally been strong with buyers looking for something just a little different. Some people are simply not looking to get yet another cute-ute crossover that everybody else already has. Volkswagen now has the Golf Alltrack (reviewed here), which chases a similar demographic, but it starts at over $35,000, and only offers a single 170hp powertrain choice. The interior features are arguably better (Apple CarPlay/Android Auto, for starters), and subjectively, more aesthetically pleasing. Some see the value in an honest wagon body style, and the Subaru Outback delivers with some more ground clearance (for those plowed driveways and the command driving position) and sure-footed traction. 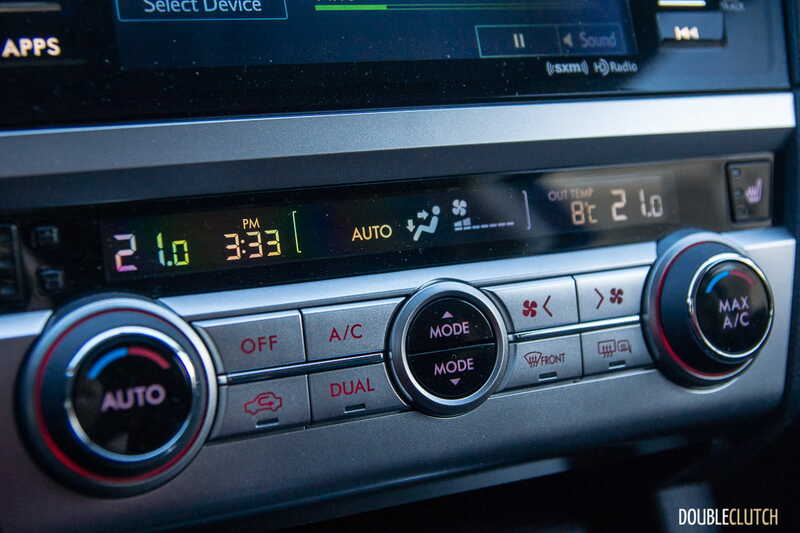 I appreciate the fact that Subaru Canada continues to offer a manual transmission in the Outback (and Legacy), but it’s simply not the best interface for those who enjoy rowing their own gears, for the reasons outlined earlier. 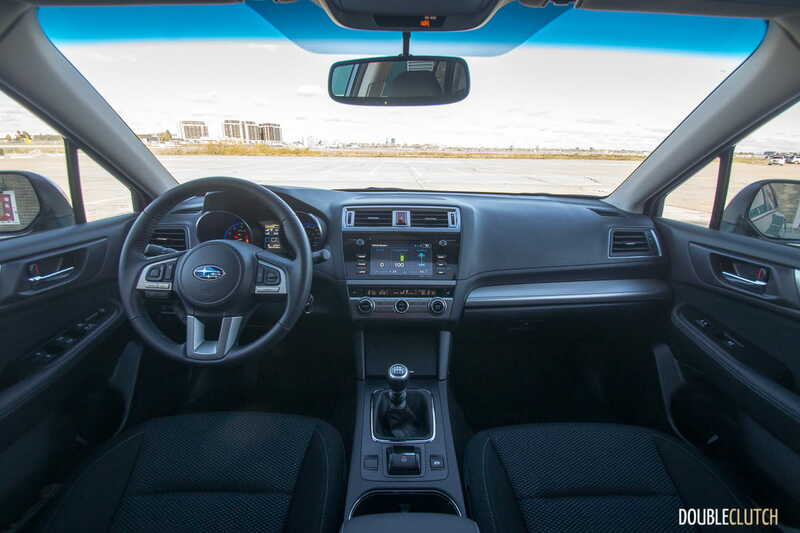 Subaru’s CVT automatic would be my choice, as it is quite a bit more efficient, and it allows for buyers to select EyeSight as an option – important in a do-it-all family hauler. The 2017 Subaru Outback found itself on last year’s shortlist of “Best Family Vehicles” during our awards, and it’s a formula that will continue to be loved around the DoubleClutch.ca office.